Put some thought into choosing a domain name. The goal of the tips below is not to meet every criteria (that would be impossible), but to give you some guidelines to consider in the process. And then I’ll tell you where to register your domain. Most of the time internet users assume .com when browsing. Having a .net, .info, .tv or any other extension puts another potential roadblock in the process of finding you. Having said that, there are plenty of successful sites that use a .net extension (or something else), but a .com is ideal. 2. Search you Keyword and see result there is too much result for your Keyword. 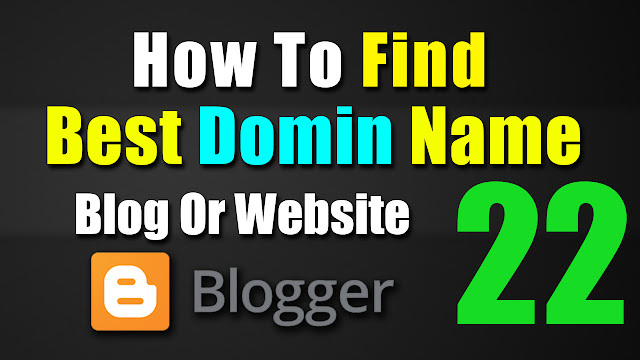 3.You can suggest one of them and use as your Domin name. If you plan on using your blog to sell a service you provide or if you hope to speak or become a published writer, your name might be perfect. Watch this video for more understand.